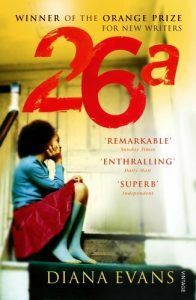 Precious is sixteen, living in a Harlem ghetto, and is abused by both her parents Her life is hell. Education and a caring teacher become her way out. She tells her story in the first person vernacular of ebonics (black speech) which forces you inside her head. 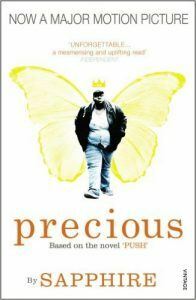 The novel was controversial when it was published as a book called ‘Push' in the nineties, and again when the film ‘Precious’ was released in 2009. It shocks and challenges and gives voice to an otherwise invisible demographic. I love teaching it, my students love reading it and it is always extremely fertile subject for discussion. 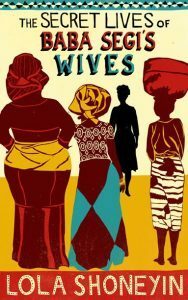 A debut novel by a Nigerian British writer about polygamy. Baba Segi has four wives who live with him in his compound. He’s rich, quite vile (comically so) and the wives must all please him while somehow managing to get along with each other in their dysfunctional marital hierarchy. As the novel unfolds, their backstories unravel and we gain deeper insights into what drives these women into polygamous marriages in the twenty-first century. I found this novel absolutely fascinating from start to finish. Another debut novel, this time about mixed-race twins born into a British-Nigerian family. The twins are inseparable and have their own language. Their mother is Nigerian, their father British, and they live in both countries, although primarily in North London. It is a beautifully written novel about families and childhood and what happens when twins grow apart. 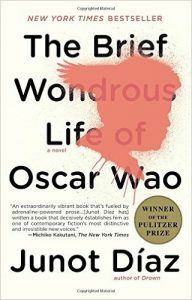 This novel is an amazing feat of storytelling about a multigenerational immigrant family in the US from the Dominican Republic. It’s phenomenally energetic, bold, inventive. It’s quite unlike anything else I’ve ever read and appeals to readers across the board, which always suprises me because it’s quite in-yer-face and political but somehow a wide range of people love it as much as I do.